Urethane Plugs – Tight Tolerance Urethane Plugs! Urethane Plugs ? You’ve come to the right source! Polyurethane Forming Plugs: Our polyurethane forming plugs seals and prevents spills from entering drains. They are also ideal for blocking drains before a spill or as soon as they occur. So whether you need urethane forming plugs for preventive maintenance or in an emergency to contain an unexpected spill, our polyurethane plugs are one of the best products that can help you protect your drains from hazardous materials. Urethane Conical Drain Plugs: The service life and performance ability of our products are world-class, but still, we have a variety of special additives to boost their physical properties further. Our use of a “state of the art” Flow Water jet 4′ x 8′ Integrated Flying Bridge waterjet cutting machine sets our urethane conical drain plugs apart from those of other brands in the industry. Urethane Cap Plugs: Our urethane cap plugs offer tight tolerances which make them suitable for different applications, and we have a variety of additives which we can add to boost the physical properties of our urethane parts further. 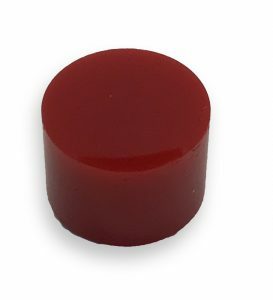 Urethane Conical Plugs: Urethane conical plugs are available in any hardness or color with additives like PolyMag that is used in FDA X-ray applications to detect if there is a failure. Plan Tech can reverse engineer any existing conical plug to match OEM specs oftentimes with little or no start-up cost. Common profiles of plugs are supplied in a square, round, and push in to fit configurations for different applications. Any custom profile urethane plug can be molded or machined to size in Plan Tech’s state of the art in-house machine shop. Plan Tech’s plugs are non-marking and are an ideal solution when searching for a custom size plug. Urethane is a high-performance material for custom applications due to its low cost and ability to be molded just about any size needed. FDA applications are no problem for Plan Tech. From fabrication of molds to productions pieces with industry-leading turnaround times! For over 30 years we have focused on using speed and precision to rapidly deliver the highest quality industrial cast urethane parts and FDA-approved urethane parts to our customers. Our custom cast polyurethane facility maintains world-class capabilities and equipment, combined with excellent quality systems and compliance certifications when requested. A particular strength is the breadth of our in-house capabilities which, when combined with our extensive experience, enables us to rapidly deliver cast polyurethane plugs while maintaining the quality control and cost effectiveness our customers need. Are you interested in custom cast Plugs? Please Contact us so we can help solve your requirements!